is in the eye of the beholder. 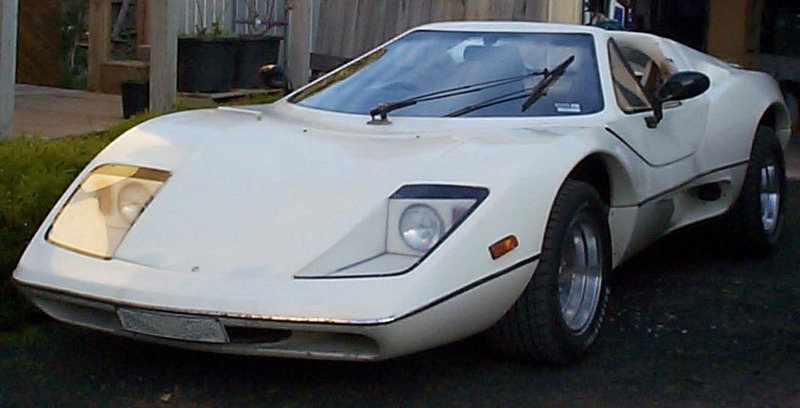 The Purvis Eureka caused an instant sensation when it was unveiled at the Melbourne Car Show in March 1974. 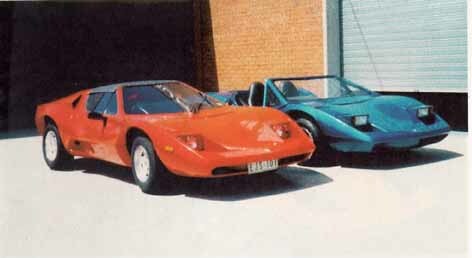 Modern Motor promptly featured the Eureka on its cover in June 1974, and Sports Car World included a “we drove it first” article in July 1974. 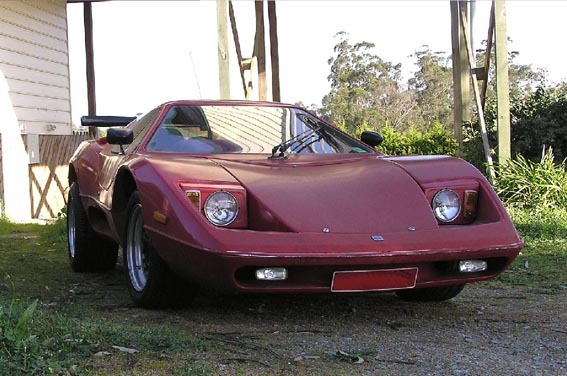 Over the next decade or so, SCW, Wheels and other magazines had Eurekas on their covers, and articles on the Eureka appeared in magazines from “Kit Car” to “Racing Car News”. The Purvis Eureka was also listed in Glasses Dealers Guide, both new and used. 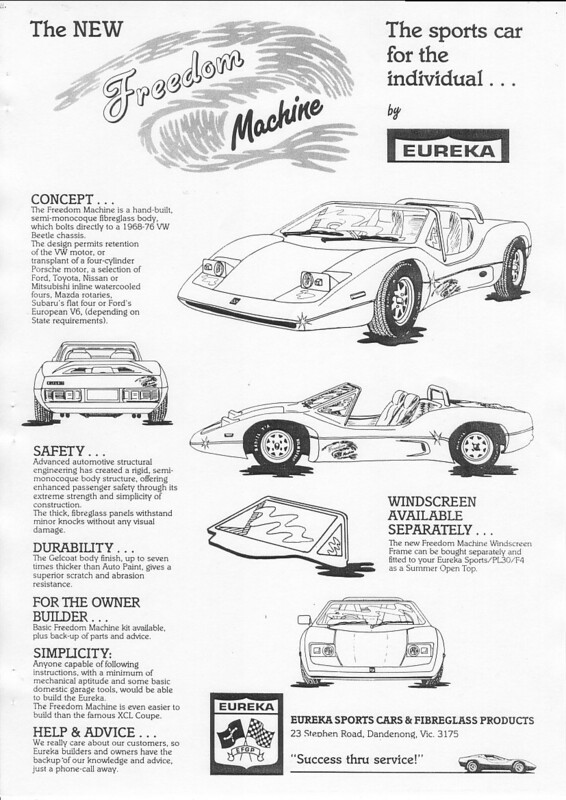 Motor Manual even built its own “Project Eureka” and featured it in a series of magazine articles. The Eureka started life in the UK in 1971, where it was called the Nova, and was soon sold in the USA as the Sterling, and in South Africa as the Eagle. 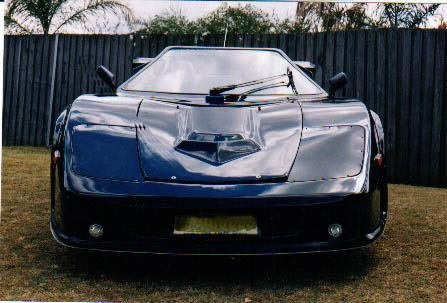 Aussie Allan Purvis, on holiday in the UK in late 1971, saw an opportunity for the Nova and made distribution arrangements for Australia and New Zealand. 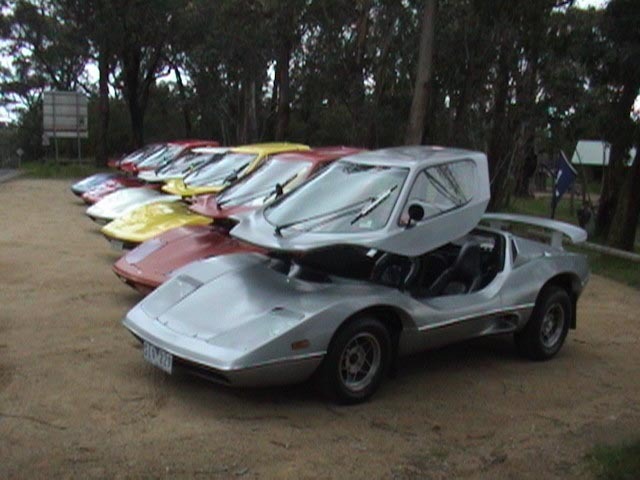 It is estimated that a total of around 10-11,000 Nova based kit cars have been sold around the world. With 683 Kits being produced in Australia. Allan chose to rename the Nova to Eureka in recognition of the fighting spirit demonstrated by the miners at the Eureka Stockade, and adopted the Eureka flag as the company symbol. Being told that the car would never make it past the Australian Design Regulations simply made Allan more defiant and determined. There is no escaping the distinctiveness of the low, sleek form of the Eureka with its radical opening roof, which certainly turns heads where-ever it goes. Economy is another huge success factor, in terms of what these days would be called “total cost of ownership”. Being a kit car, the labour component could be excluded from the purchase price, and with the standard VW engine, fuel economy was excellent. The Eureka was also in the lowest insurance category. There was also the safety factor. 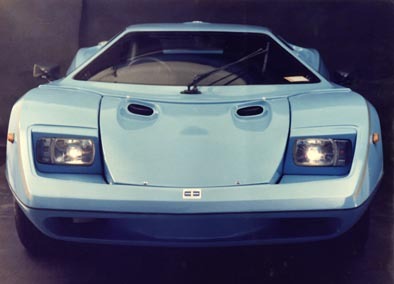 The long nose actually formed a great crumple zone, and thick fibreglass panels and wide box sections gave the body of the Eureka excellent strength. Performance wasn’t too bad either, given the aerodynamics and reduced body weight. is a stunning looking Automobile. and provided the owner with many options to create a totally individual sports car. If the factory options weren’t adequate, the owner had plenty of other choices. VW or Ford engines could be hotted up in all manner of ways, or could be replaced by something completely different. Mazda rotary and Subaru flat 4 engines are popular, and various other engines have also been fitted. Probably nothing beats a peripheral port 13B rotary in a 780kg Eureka for real sports car fun! Disc brakes from later model VWs can be fitted on the front, and rear disc conversions are also available. There is also scope to play with the suspension for improved road handling. A Porsche 914 5-speed gearbox could also be fitted for extra performance. Being of fibreglass construction, body modifications can be made quite easily, and t-bar type and open top roofs can be created. Pop up headlights, modified rear lights, and different rear spoilers can all be added to make the car more individual. Lower roof with a more flattened windscreen angle. Plastic molded rear tail lights, singular on each side. Rounded instrument panel. 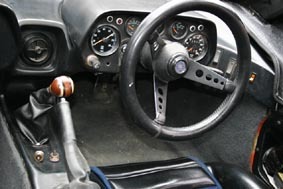 Narrow centre console, with single air vent at top (in dash). 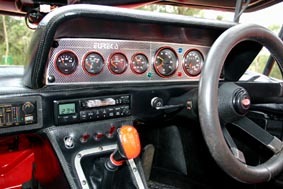 The dashboard is quite narrow, forcing installation of a cd/cassette on to the passenger side. 2 x large air vents to centre of windscreen. The headlights became round. The rear deck over the motor is flat. There is a small indent around the body where the hood meets. The area around the windscreen wiper motor was changed slightly, and a small gutter runs across the body under the front of the hood. The F4 also introduced the “elephant ears” air ducts and the lowline rear spoiler as accessories, amongst other bits. Was first available on the F4, but as many owners have adapted their hood to the targa type style, they are seen on all models. Often the targa tops are actually T-tops, which were never produced by the factory. The Freedom Machine was a Colleen Long incarnation which some believe also never made it to production although there are a few about so even though numbers were very small, they were technically produced. The "Freedom Machine" that Colleen Long manufactured was basically a Eureka with the rear window and tunnel section chopped off at the engine cover height. Using a standard mould of the windscreen section 2 small side windows to support the windscreen, but no roof or sides to the roof turret. The "Freedom Machine" was an F4 with a Screen and you could actually buy the screen separate from Colleen Long for about $1800 she called it a "Summer Screen" and would fit any Eureka. 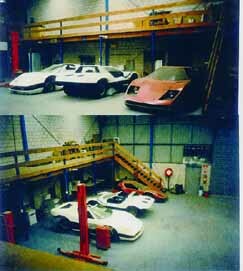 Here are two pics of the factory prior to closure in Melbourne - the centre Eureka is Colleen Longs Freedom Machine - the main body was moulded in that shape with the back being flat and a fibreglass type roll bar at the back. A full windscreen surround was glassed onto the main body - which you can see. Hope that settles the Freedom Machines existence and proof that it was in production, even if the sales were not very large. 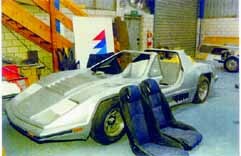 The Free Spirit was a concept that never made it to production, it was a concept car that Allan was trying to develop, the body shape was very different to any other reek, it had very sharp angular lines. 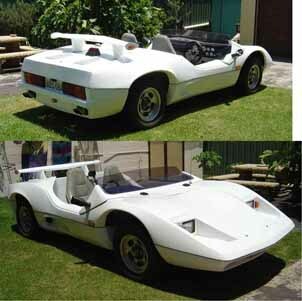 This body was designed to take a mid mounted Ford Laser drive train and a purpose built chassis (By Elfin Sports cars). 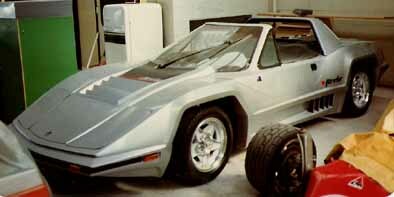 Allan was unable to get financial backing so the car never went into production it was just a prototype. It was never offered for sale and the project (much to AP’s disappointment) never got off the ground. It was a one off body on a rolling pan and was eventually destroyed. Purvis cars never made a T-top. Many owners refer to their T-top cars as Targas, this is wrong. - Targa tops do not leak if correctly fitted. There were alot more than 10 black cars made. Allan did not like making this colour for safety reasons but if a customer insisted on black then black they got. All white, also not uncommon on both the PL-30 and PL-30 F4 models. -Allan's (Purvis), favourite colour yellow over yellow. - The only genuine rear wing is the lowline model, the one that does not obscure the drivers rear view due to the cutdown centre section. This was done in this style to adhere to Australian Design Rules (ADR'S) which we had to comply to at the time. 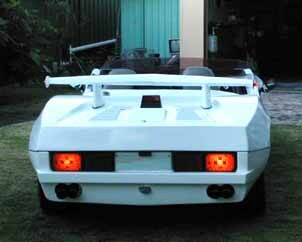 The wing actually was modelled on the wing off a 928 Porsche which was a favourite of Allan Purvis' at the time. The "Lambo Style Rear Wing" - was manufactured by Colleen Long, The protype "Plug" which was made from metal and welded onto an engine lid and was originally intended to be moulded as a whole, engine lid and lambo wing as one moulded part. - The actual name of the company which made the cars was Purvis Cars, not Purvis Eureka. The Eureka was simply a model which was available in 4 variations over the years. "ECCA Logo Design - Bendigo Graphics - Graphic Designer Stuart Farnell - © 2005"